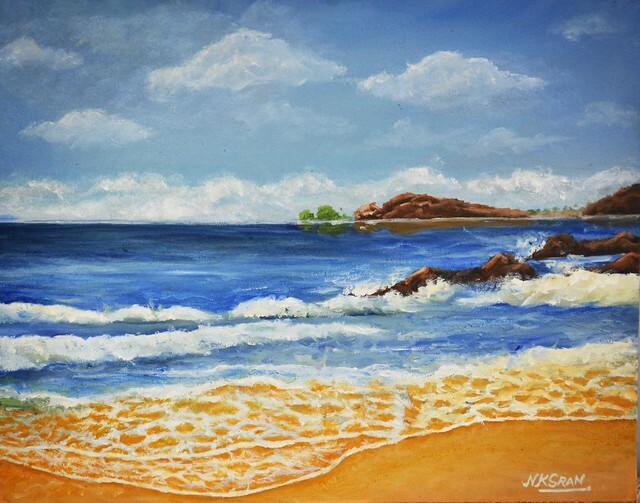 This weekend I have completed my latest painting oil on canvas titled "The Seascape". I started painting this one back in June this year. I liked how it turned out to be. The prominent colours are blue, white and mustard. I hope you all liked it too.